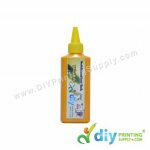 Using vinyl is one of the most popular ways to create advertisements. Vinyl is a polymer that is commonly used on billboards to create larger than life advertisements. Now, vinyl has a new use. Vinyl heat transfer papers are now being used to print on a variety of fabric. There are reasons for the popularity of vinyl as a medium for making heat transfer papers, the first and foremost being that it is made of a polymer based chemical. The second advantage is that it is translucent and that too is an important criterion. 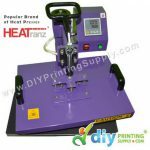 The process of dye sublimation printing using vinyl is simple. 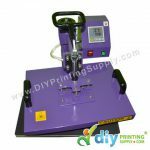 A vinyl sheet is cut into shape and fed into the dye sublimation printer. The image is opened on the computer, flipped horizontally and then printed on the vinyl using the dye sublimation printer. 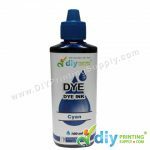 In dye sublimation printing, the printer ink directly passes from the solid to the gaseous phase, without going through the liquid phase. Hence, there is no time required for the printer ink to dry. Once the image is printed, it is now ready to be printed on any material. If a t-shirt needs to be printed, then it can be done using an iron. The t-shirt will have to be pressed first to remove moisture and wrinkles. Within minutes, the image is transferred to the t-shirt. Since it is translucent, the colors come out really well on the surface of the t-shirt. For best results, the t-shirt needs to be white in color or in some other light color. Ash gray also works well. A vinyl heat transfer paper is quite economical and together with heat transfer printing technology, it can be used to design attractive items at a very low cost. 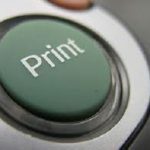 This is the primary reason why a vinyl heat transfer paper has become so popular among the modern printers. There is not much difference in the way a vinyl heat transfer paper works from other heat transfer papers. Once you get a grasp of the technology and the process, using it is not more than a piece of cake.